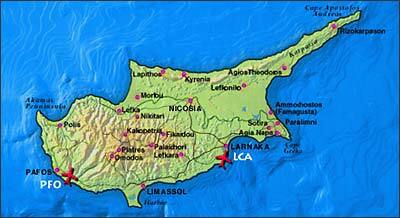 There is a possibility to take advantage of the bus transfer service available by private companies just outside of the two airports (Larnaca and Paphos). This service is offered on a 24hrs basis and current costs estimates run at approximately max. 10 Euros. For more information please visit the following webpages and the bus timetables. Cyprus Airways is pleased to offer 15% discount on all published applicable fares at the time of reservation. The discount will be applicable only on the fare and not on any Airport /Security and any other applicable taxes/surcharges which must be paid in full at the time of issuance of the tickets on the web-portal of the Cyprus Airways. 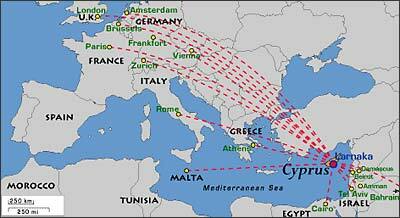 Please download and print the Cyprus Airways offer.